St. Luica is only 238.2 square miles with population 179,000, but things to do are limitless! The west coast of the island (between Marigot Bay and Laborie) contains the island’s most enjoyable attractions and adventures. The beautiful beaches, Pitons (Twin Peaks), waterfalls, nature trails and drive-thru volcano generates thousands of visitors yearly. 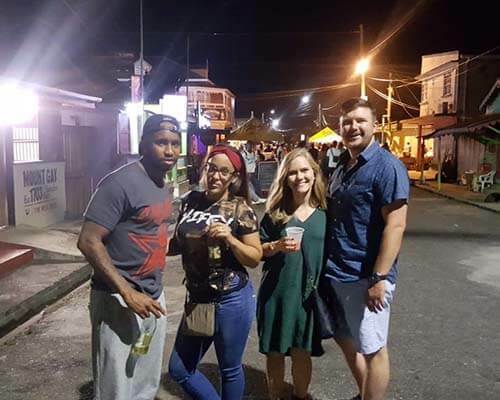 Whether you plan on visiting St. Lucia via cruise ship or airplane, we will walk you through the top things to do on the west coast. 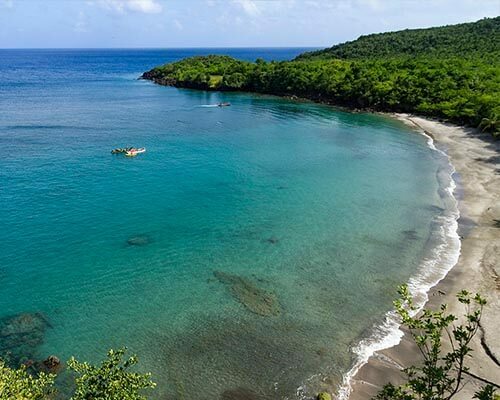 You have not been to St. Lucia if you haven’t seen the west coast of the island. 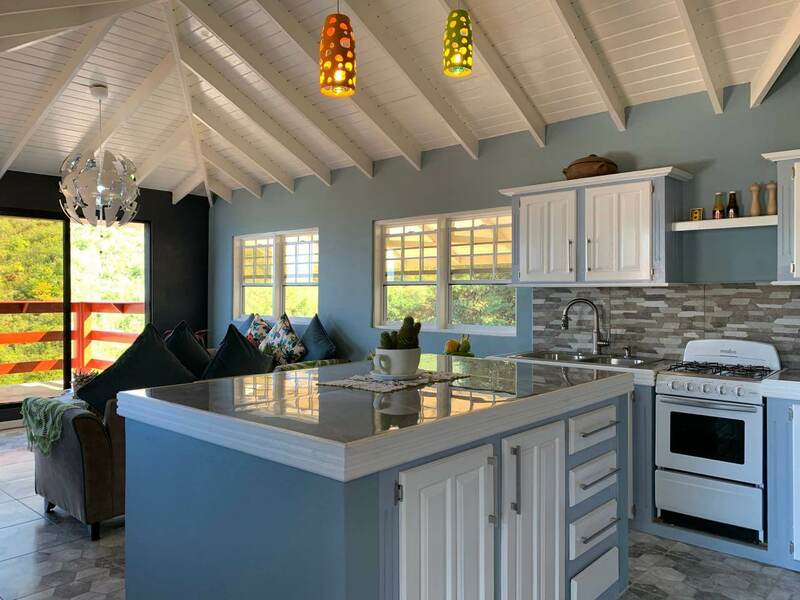 It’s where the calm Caribbean Sea meets the shores of beautiful towns and villages providing the true meaning of Paradise. The west coast embodies towns and villages such as Marigot Bay, Anse La Ray, Canaries, Soufriere and Choiseul. All with unique traits with Soufriere town being the most popular since it’s where the Island Landmark (twin peaks) resides. 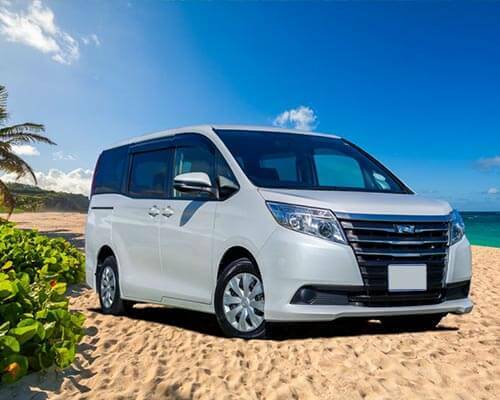 Hop-In-Hop-Out tours are available which allows you to cruise through the west coast for some memorable pictures. Presenting the ultimate adventure, “Gros Piton Climbing”! It’s a hike to one of the twin peaks in Soufriere St. Lucia which is 798 meters (2619 ft) tall. Don’t panic with the altitude of this beauty, it can be climbed without ropes or mountaineering experience. Thousands upon thousands of visitors including celebrities, has used the well-constructed trail to the top and back with ease. The hike is about 4-5 hours long (2 hours up and 2 hours down) which is best climbed early mornings about 8am. 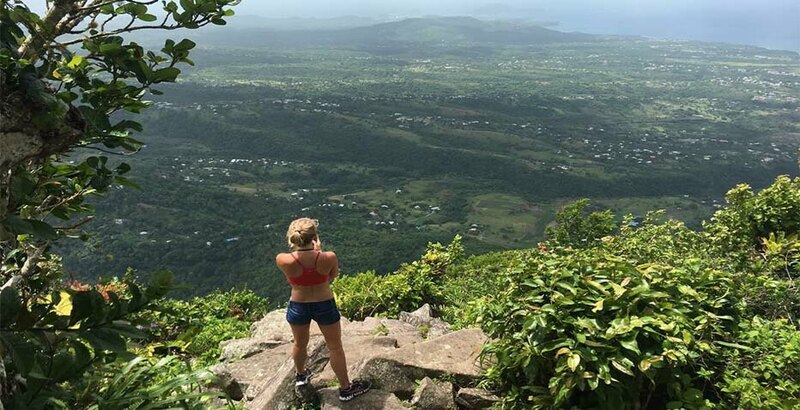 The view at the top is very rewarding where you get a panoramic view of Soufriere and Choiseul. Like no other, the warm sulfuric bath is not only enjoyable but healthy experience. Take a moment to relax in a tub of sulfuric water which streams directly from the volcano, while you spread the natural mud residue on your body for skin cleaning. Your body will thank you for this activity promotes healthy blood circulation, lowers blood pressure, reduces headaches and moisturizes your skin. This iconic adventure is recommended to all visitors to the island to facilitate a memorable island experience. 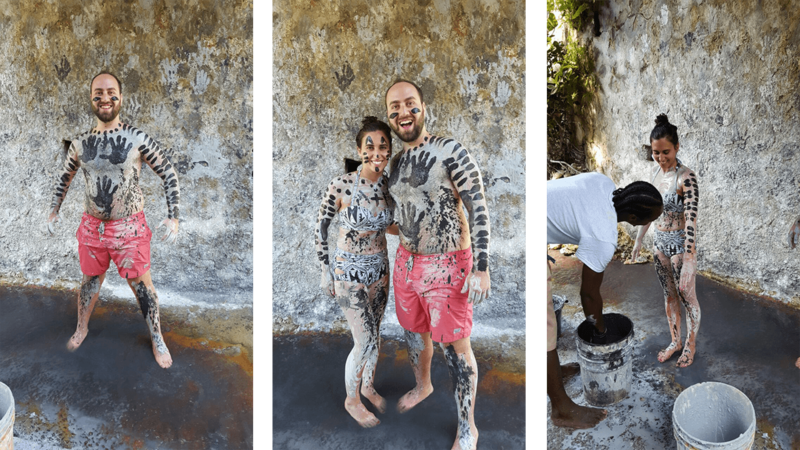 The mud baths are now extended to multiple tubs which cost only 10 USD for adults and 5USD for children. 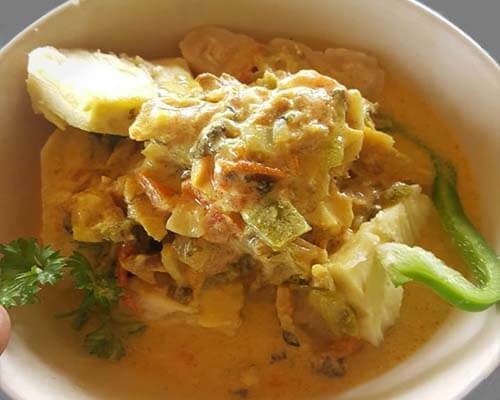 It’s highly recommended when visiting the island. At the Sulphur Springs Park is an astonishing adventure to the world’s only drive-in volcano. This volcanic adventure will have you amused on its history; how it erupted, the effects of the eruption and the benefits procured by the sulfur and its scent. Although very humid, this adventure will give you a very in-depth overview of what makes St.Lucia very unique. The entree fee is only $9 USD for Adults and $5 USD for Children. 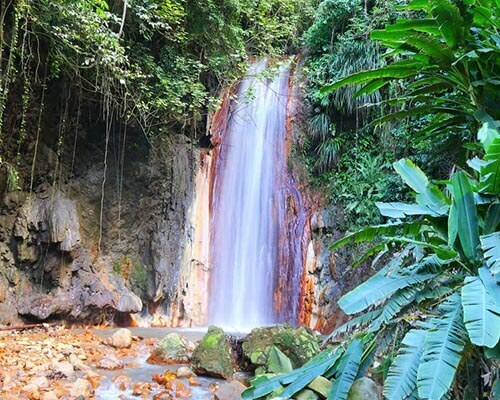 Come bathe in one of St. Lucia’s most enjoyable natural waterfalls. Toraille Waterfall is located near Cresslands street in Soufriere close to other excursions. With very little physical appeal, you can get to enjoy the burst of water from a very tall cliff. This is the type of falls which makes you want to bathe even if you plan not to get wet initially. If you love waterfalls, don’t only gaze on how pretty it looks, come get wet in it! Entrée fees are only about $5 USD. Get to experience one of the most prestigious adventures on the island “Snorkeling at the Pitons”. Get away from land and snorkel in the clear blue seas. Zoom into the wilderness of colorful fishes in their natural habitat which you are guarantied to fall in love with. Witness paradise with us while you snorkel near the tall twin peaks. The quiet and tranquil gaze of nature welcomes you with open arms to ensure it’s remembrance. Plan your vacation wisely and make this one of your to dos for an unforgettable experience.